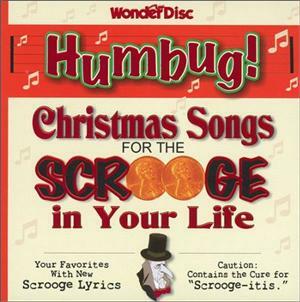 Here's the cure for "Scrooge-itis"! Your favorite carols have been reimagined with hilarious lyrics to bring a smile to everybody's face. Includes "The Little Plumber Boy"; "O Little Bank Americard"; "O Tanning Bed"; "Dot.com All Ye Fretful"; "I Heard You Yell on Christmas Day"; "Joy to the World, FedEx Has Come"; and six more. Joy To/World- FedEx Has Come! Bonus: What Child Is This?